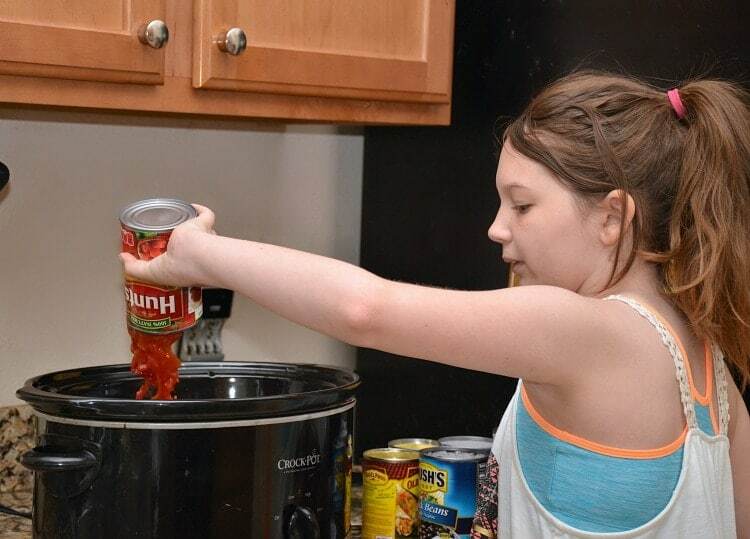 This post is brought you by Cans Get You Cooking & Mom It Forward Blogger Network. All opinions are my own. Have you ever come across a recipe that was so quick & easy that you wondered how you’ve lived without your whole life? OK— that might be a tad dramatic, but when my mom sent me this recipe for Slow Cooker Taco Soup, made entirely of canned food items (with the exception of spices), a lightbulb went off. There was suddenly no excuse for anyone in my family to say we had nothing to eat because I have a cantry (a pantry filled with canned food items) to grab from on a moments notice. Every single one of the items in this recipe were already stocked in my cantry. This recipe is as easy as opening 8 canned food items and dumping them in a Crock Pot with a package of taco seasoning (or your own spices) and letting it simmer on low for 4 hours. If you needed it even quicker you could heat all of the ingredients on the stovetop, but I much prefer the flavors when they meld together for a few hours. 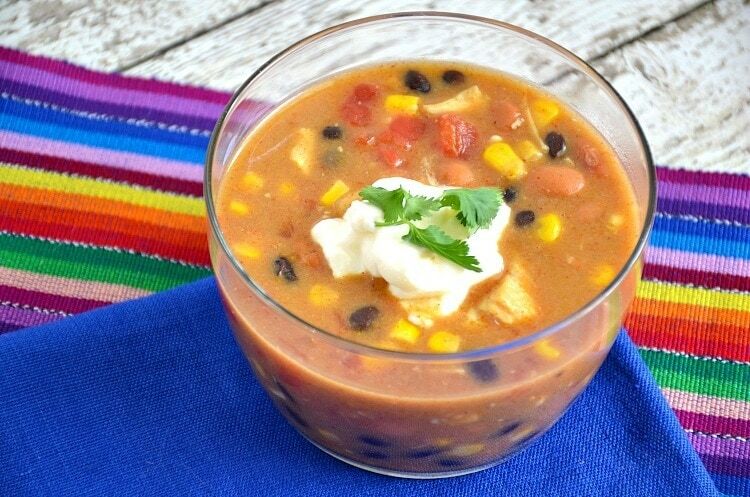 Slower Cooker Taco Soup made with 8 canned ingredients - quick and easy recipe! Add all ingredients into Crock Pot or Slow Cooker and set on low for 4 hours. 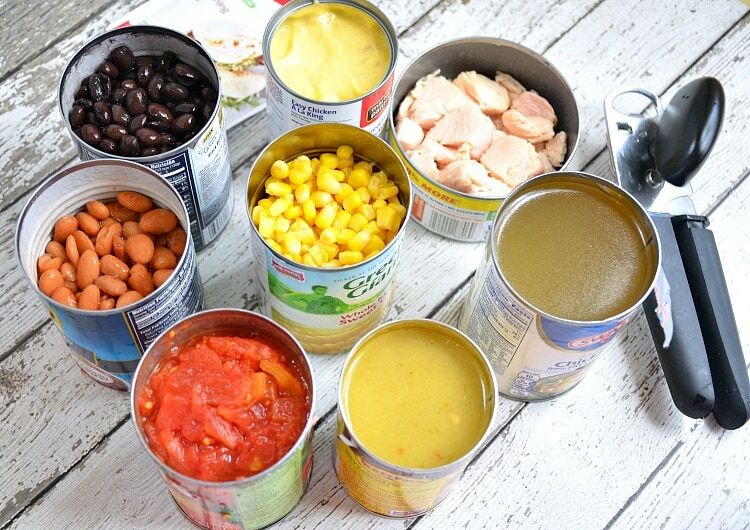 Canned Foods Make Homemade Easy! 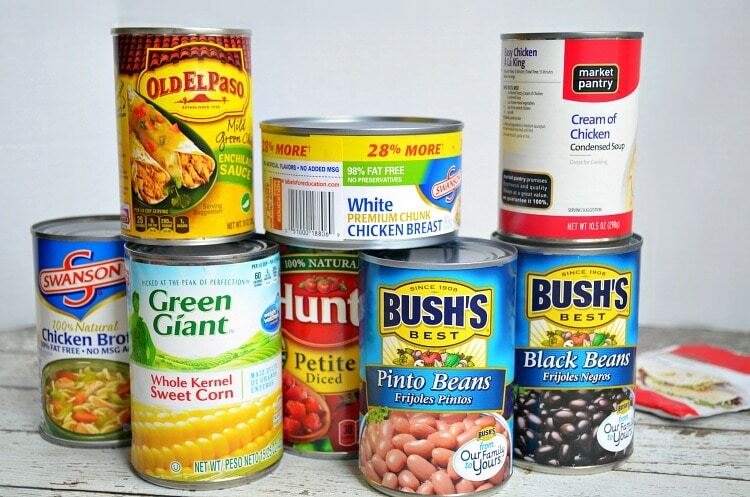 Canned foods mean less prep and year-round availability, making healthy, homemade meals a reality, more often. A well-stocked pantry – AKA “Cantry ” – helps you get through the week with creative meals you can feel good about serving your family and friends. 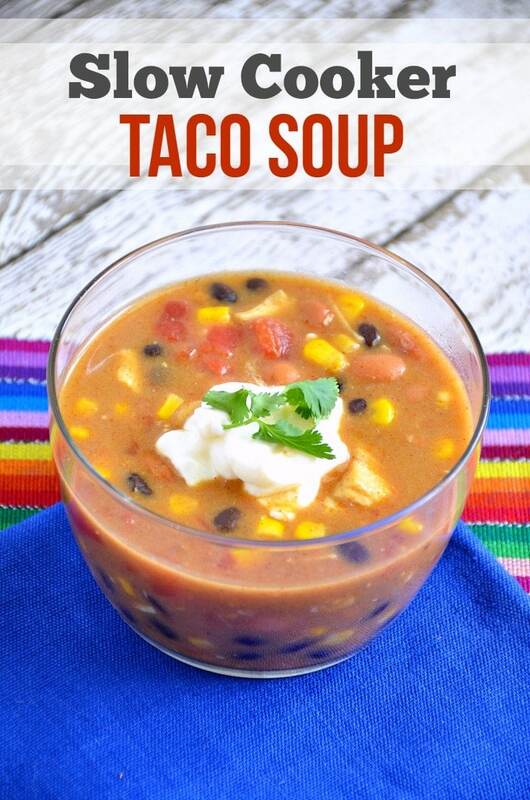 I know my family enjoyed this 8 can taco soup, and now that I have the recipe in my arsenal, I’ll make sure my cantry is always stocked with these simple and inexpensive canned food items. Honestly, if I didn’t make this soup myself I would never have guessed it was made entirely of canned food, in particular the chicken — the soup really did taste delicious and it was so easy that my daughter practically prepared the whole meal herself. Gotta love a stocked cantry and a Crock Pot! For more information on Cans Get You Cooking, become a fan or follow on Facebook, Twitter, Pinterest, and YouTube. Do you have a stocked “Cantry”?